The entire team of the Ibis Lyon Carré de Soie welcomes you to its brand new hotel! After your business meetings, relax at the Lounge Bar, discover MiniWorld, the shopping center, or go to Groupama Stadium to support your team. 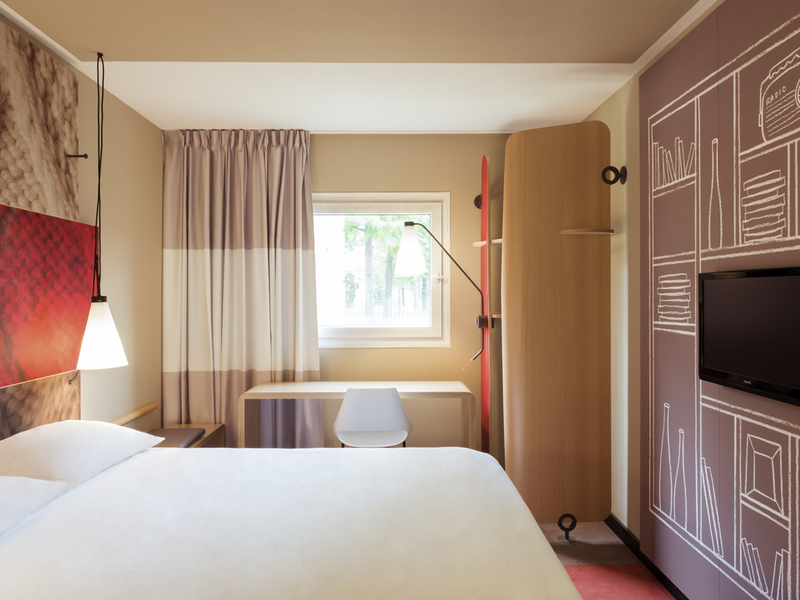 The 3-star ibis Carré de Soie hotel is close to Lyon and Alpine ski resorts and offers 112 comfortable rooms. The hotel is just a stone's throw from Tram line 3, Metro line A and the Rhônexpress, providing fast access to the main attractions, such as the Eurexpo convention center, the Groupama Stadium, the Carré de Soie shopping center and Lyon city center. Lyon Perrache and Lyon Part Dieu train stations and Lyon Saint Exupéry Airport can be reached in 20 minutes. In the heart of the new Carré de Soie quarter in east Lyon between Villeurbanne and Vaulx en Velin, 20 min from Lyon Centre; the business and leisure district directly accessible by public transportation, Laurent Bonnevay ring road and the eastern bypass. 20 min from the Centre of Lyon, the TGV station and airport by metro, tram or Rhônexpress. Welcoming, modern and comfortable with a cozy bed and traditional bathroom, the ibis room is a must. Whether you're looking to eat, work or meet up, you can head to the bar at any time of day. Have some relaxing time to yourself or enjoy the warm atmosphere with friends or colleagues. Obsługa na wysokim poziomie. Przez 1 dzien brakowało papieru toaletowego.